There is space for 11 women in our private retreat by application only (see bottom of page). I look forward to journeying in the Lunar light and dark with you. We shall be diving in deep with Empress Alchemy and the associated wisdom that is alive for us in the current cosmological weather of VIRGO: QUEEN'S MOON or CORN MOON with her Archetypal Elements to nourish & support us. We shall stir in the cauldron of Earth Wisdom and Moon Ritual both individually and as a Sisterhood Temple. Individually you are encouraged to nourish yourself, to listen to the voice of your soul, to welcome the power of the Moon, the Animal Spirits and the Goddess to guide you from within to courageously rise into the next phase of your divine unfoldment. Our unified field of energy will serve to amplify our experiences with Grace and Power. Collectively we will journey with Goddess Gaia, Demeter and the Corn Mother, as well as with the Lioness, the Phoenix & the Hawk. 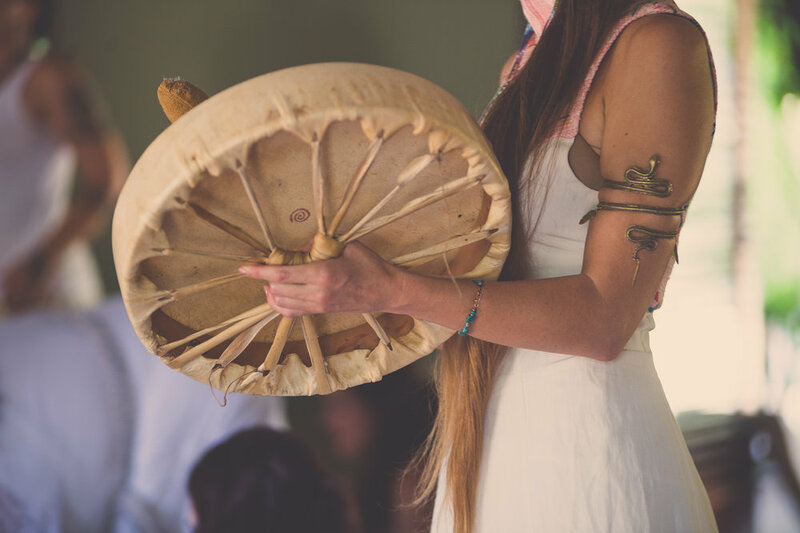 We will contribute to one another with the medicine of being moon sisters, offering sacred reflection, support and honour. 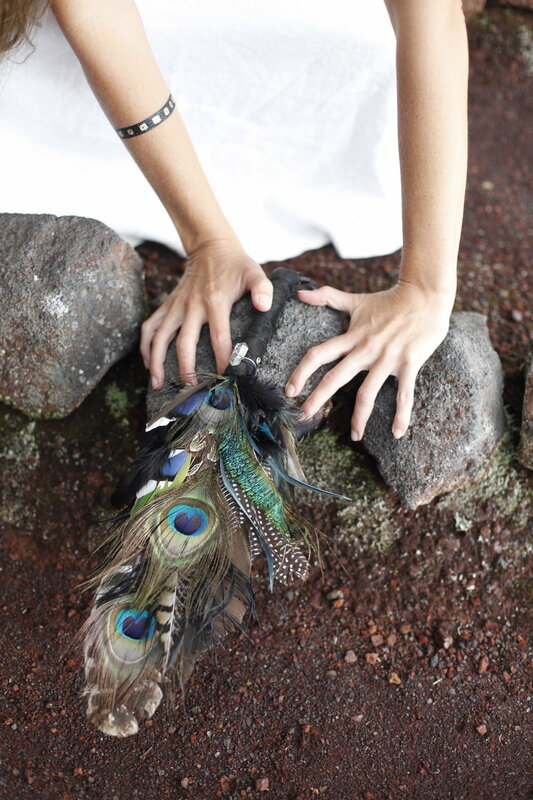 With the Majesty of the Alchemical Empress and the Royal lineages of light, our Rituals, Nature Adventures and Embodiment Practices serve to empower you in your Sovereignty, Leadership and Feminine Power. And... we are leaving space for the Mystery to reveal itself and offer the most exquisite gifts of alchemical delight! Our schedule is subject to change based on group flow and desires. 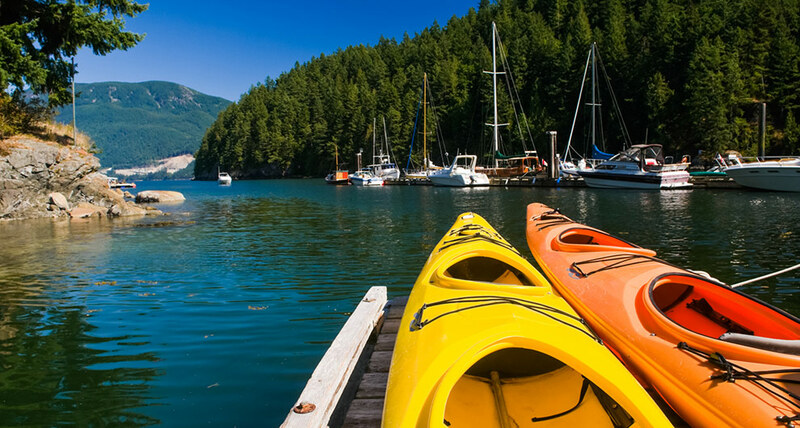 Just a 20 minute ferry ride from Horseshoe Bay in West Vancouver, Bowen Island (population 3300) is well known for its picturesque hiking, biking, kayaking swimming, beaches, cozy atmosphere and friendly nature. For centuries, Bowen Island was used as a summer outpost by the native Squamish Nation, who hunted for deer and fished for salmon there. The Squamish are a coast Salish people whose traditional territory stretches from Point Grey in Vancouver to Roberts Creek, encompassing all of the islands in Howe Sound, including Bowen Island. The Squamish name for the Island is Xwlíl'xhwm, meaning “Fast Drumming Ground”. In the Squamish creation story, Xwlíl’xhwm is often referred to as the place where the deer were created. 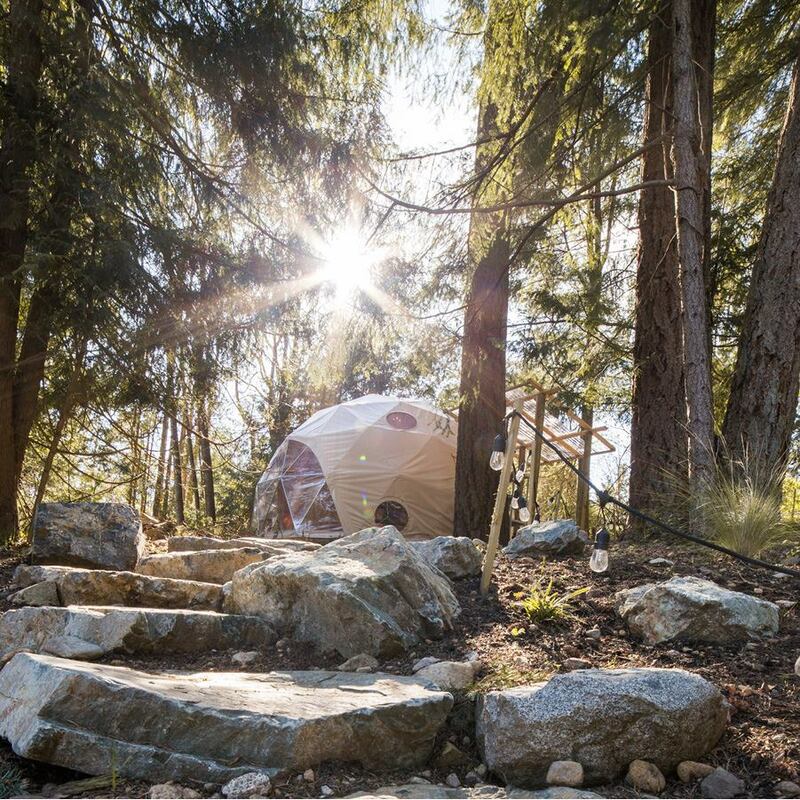 Our Eco-friendly Retreat Home, Nectar Yoga B&B, is set on 1.2 acres, with elegant and cozy northwest accommodations just a few minutes walk from the Pacific Ocean, that includes a Finnish sauna and geodesic Nature dome as our temple. There are 2 spaces available to have your own bed & one Queen bed for 2 sisters to share (& receive $200 off tuition). We are welcoming applications until May 18th on a first come first basis. Tuition is in US Dollars. 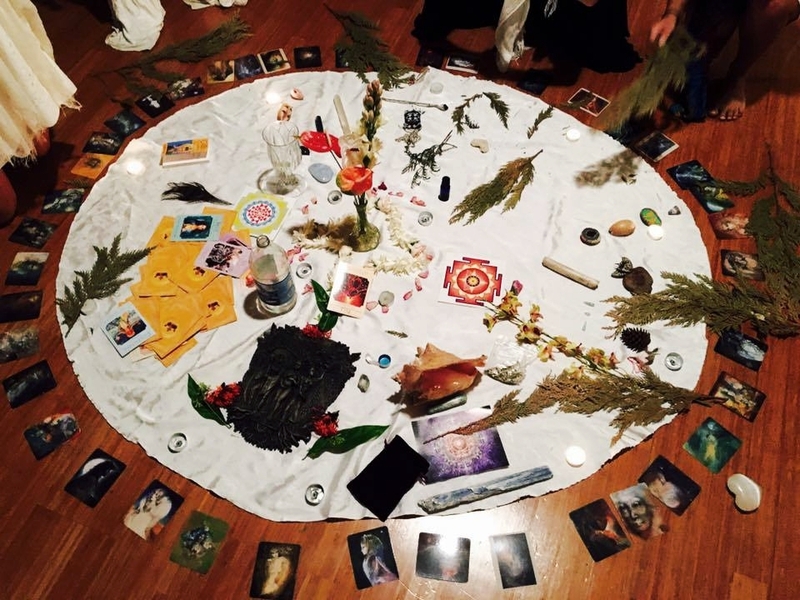 I am over the Moon excited to be with you for this most epic alchemical journey together!